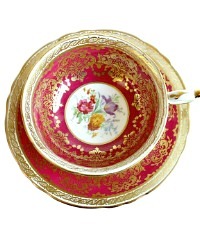 Luscious collectable Paragon Cabinet Teacup & Saucer. 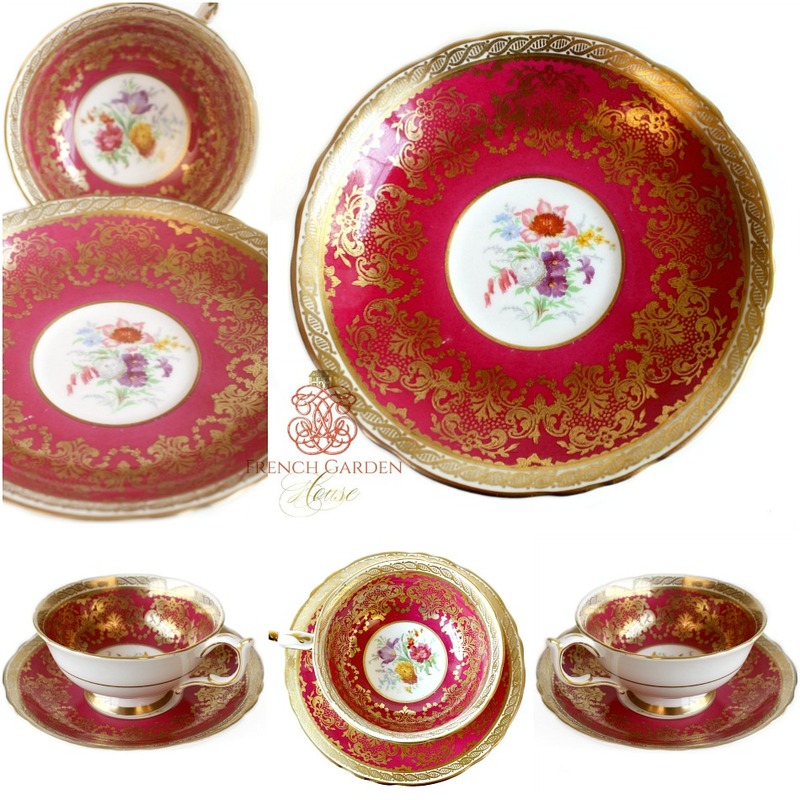 Exquisite, this luxury set features a Pink Red base color on the inside over which gilt filigree detailing has been applied. The outside of the cup is bone white with a thin gold band around it, also the foot, and the handle has hand applied gilt. 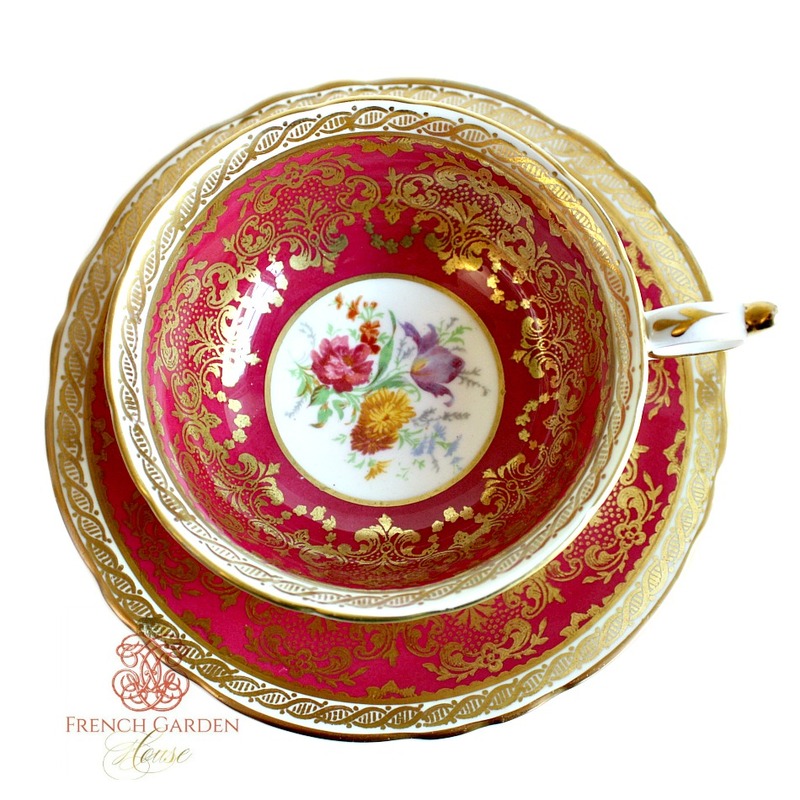 The inside of the cup and center of the saucer have been decorated with a beautiful spray or bouquet of garden flowers in Lavender, Blue, Pink, soft Yellow and White. The cup has a different arrangement than the saucer. The back stamp is the double warrant dating this cabinet cup set to 1938-1952. 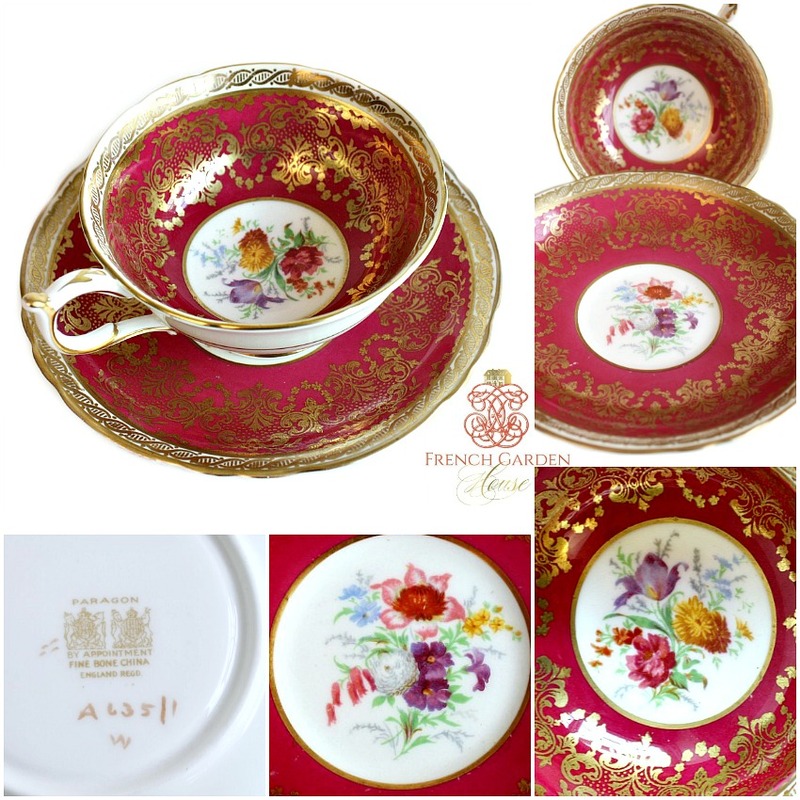 Perfect to add to your luxury heirloom porcelain collection, or as a fabulous gift for someone you love. Measures: cup: 2~1/8" h x 3~7/8" across the top; saucer 5-1/2".